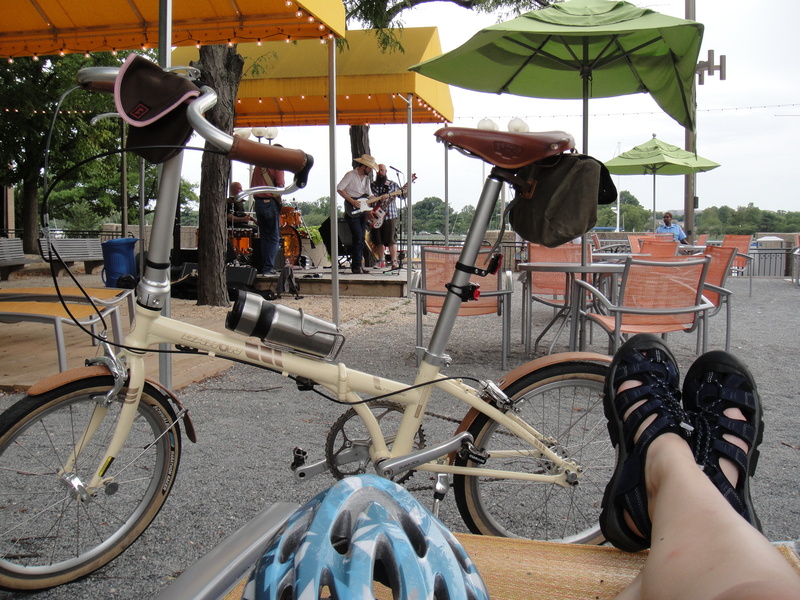 On Bicycling and Other Pursuits: How Much is Enough? The past couple of weeks I have not spent much time on the bike. Rather I’ve been catching up on things that went neglected while Felkerino and I focused on the brevets and our trip to Colorado for the High Country 1200K. It’s been a nice release to know that our big bicycling event for the year has come and gone and that it went well. However, the off-the-bike time also got me thinking about how much bike riding is enough. Look, I know I have a good life if whether I rode my bike enough is one of my main existential questions. Nevertheless, I’m still giving it considerable thought. Flèche (377K in 24 hours). Complete. Super Randonneur Series (200K, 300K, 400K, 600K). Complete. Colorado High Country 1200K. Complete. As I reviewed the numbers and events, I began to wonder if I could have done more, or if the numbers looking back at me were really very much at all. After sending myself into a senseless tailspin (anyone else ever done this to themselves? ), I brought myself back around town and concluded that I’m just fine. Here’s how I know. Running AND Randonneuring. Before I was a randonneur and cyclist, I was a runner. In fact, I started riding because of a running injury. After I began randonneuring, I stopped running for a few years and discovered I really missed it. Cycling could not give me the same endorphin rush as a good run. Also, I believe strongly in doing regular weight-bearing activity, which I get from going to the gym and running. Cycling was awesome, but it did not offer the same feeling of overall fitness. It was a huge accomplishment for me to complete a series and a marathon in the first six months of this year. My cycling miles took a dip as a result, but I was still able to successfully finish both the marathon and the brevets. No Suffering! No Injuries! While my motivation for a couple of brevets was not as high as in previous years, Felkerino and I still moved pretty well through the brevets and neither of us sustained injuries this season. We completed all of the brevets of the Super Randonneur series and the 1200K well within control limits and in good health. To me, that is a great indicator that our training was enough to get us comfortably through the rides. Fun Factor Still Intact. As I mentioned and wrote about in a previous post, this year the brevets lost a little of their luster. They did not feel as fun or enjoyable as in the past, and I found myself spending more time wondering why I was doing them. Organizing the 400K helped renew my interest in the rides, and by the end of the season I was back in “brevets are awesome” mode. I’m glad we did the rides we did, and I’m glad we did not do any more than we did. Attempting more events would have ended up dampening the rides’ fun factor and made them more of a chore. While I seek to challenge myself, I also want to make sure I preserve the enjoyment I get from events and training. Balance Achieved (Somewhat!). I love riding my bike and running. I also like the occasional spin class and I am addicted to the gym. Reading blogs and the New Yorker are another favorite pastime. Breaking Bad is essential television. Sleep is my friend. Doing well in my job is important. Time with friends and family makes me happy. The past three weeks have been great for restoring more balance in my life, and have helped me understand that I could not have done any more rides or runs and felt like I was maintaining any semblance of life balance. When I look at results and numbers, it’s easy for me to view them without any context and think I did not do enough. When I give it serious reflection, though, I feel good about what I’ve done and energized about what the second half of 2012 has in store. And that’s just where I want to be. Boy can I relate to this. I had to quit running over a decade ago and still miss it. And it is so easy to do when traveling! You’ve really knocked it out of the park this year. I am most impressed by the lack of injuries. Dialing it back for a few weeks now is like buying exercise insurance for your next adventure. Can’t wait to see what it is. Thank you! And exercise insurance… I love that!!! Yes, I’m buying exercise insurance!